Join us for this new series of wellness classes on Tai Chi with instructor Alex Lamas. There are six sessions scheduled from 3 to 4 pm on the following Mondays: March 18, April 1, April 15, April 29, May 13 and May 20. Sign up for one class or all six sessions! If you're looking for a way to reduce stress and increase balance, try practicing the graceful movements of Tai Chi. Originally developed for self-defense in China, this form of exercise has evolved into a method to reduce anxiety. Often described as meditation in motion, Tai Chi promotes serenity through gentle, flowing movements. It involves a series of low impact movements performed in a slow, focused manner and accompanied by deep breathing. 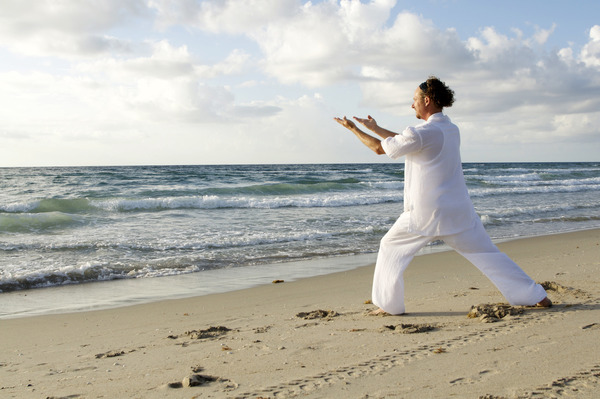 Tai chi puts minimal stress on muscles and joints, making it safe for all ages and fitness levels. It may be especially suitable for older adults who otherwise may not exercise. Master Alex Lamas has been training and teaching Kung Fu and Tai Chi for 20 years, in 2001 he became an instructor at Kwan’s Kung Fu. As a Kung Fu and Tai Chi teacher, Sifu Lamas has brought his program to schools, campuses, Buddhist temples and senior centers across Westchester County. He has also been studying meditation for 20 years and is an official tour guide at Chuang Yen Monastery in Kent, NY. No experience is necessary. Wear comfortable clothing and shoes.